Another Wonderful Weekend of Top Class Racing is over. 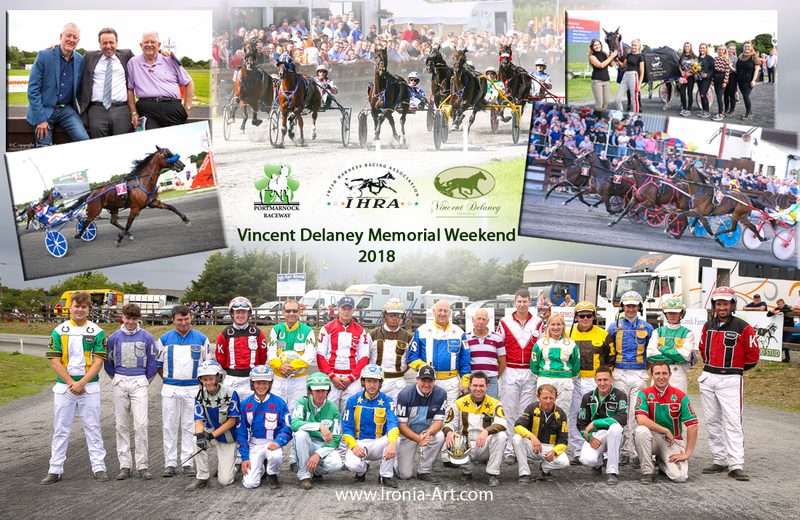 Irish Harness Racing Association along with the VDM committee is very proud of the result achieved by a hard-working team, weeks before and during the event ensuring everything is in place. For the very first time we streamed 2 days race meeting LIVE from Portmarnock Raceway with very impressive number of viewers on each day! To be more precise, we reached over 40k eyes across the world! Thanks to professional team of presenters, our live feed was interesting and we are sure many will return for replays later. We would like to thank every single person for their input in the running of the VDM 2018: Generous Sponsors, IHRA office team, stewards, judges, ground team, owners, trainers, drivers, TV production team and supporters of harness racing sport from near and far! While some horses will be going on well deserved holiday, work will not stop for most..
Two more Premium meetings are on the way in 2018, as well as Ladies Day and bunch of Memorials.